This home was built in 1949 and sits on a 48 x 131 lot. 3 bedroom, 2 bath with a finished basement. Split bedrooms. Listed for $419,000 and closed at $415,000. On the market for 3 days. Built in 2006 this 4 bedroom, 5 1/2 bath was on the market for 155 days. Listed for $1,399,000 and lowered to $1,199,000. Closing price $1,100,000. Sold in March of 2008 for $1,500,000. This home was on the market for 6 days. 4 bedroom, 3 bath on a corner lot in Field Park. Built in 1927 and added on in the 1980's. Listed for $699,000 and sold for $688,500. Listed for $559,000 and lowered to $519,000 on an 80 x 131 lot. 3 bedroom, 3 bath with split bedrooms. Cute cottage in an excellent location on a wide lot. On the market for 257 days and sold for $445,000 with $6250 paid in points. Listed for $475,000 and sold for $486,100 after 3 days. This home was built in 1961 and was completely updated. 3 bedroom, 2 1/2 bath ranch with a master bath. Listed for $537,500 and sold for $515,000 in 43 days with 3000 credit. 5 Bedroom 3 bath with an addition that was put on in 2004. On the market for 264 days. Originally listed for $424,000 and lowered to $409,000 than $394,000. Sold for $375,000. 4 bedroom, 2 1/2 bath across from the park. Home was dated. This home was listed for $410,000 and after a few weeks it was dropped to $310,000 and closed for $260,000. On the market for 76 days. It has 3 br, 2 bath and a 50 x 132 lot. Sold Short. I am guessing it will be a tear down. June 24th from 1-3 stop by and see me and this great home in an excellent location in Field Park. First floor family room and living room with fireplaces, sunroom, second floor laundry room, rec room and a 99 foot wide lot with plenty of room for kids and dogs and bbq's. Also listed this week 3971 Western for $364,000. 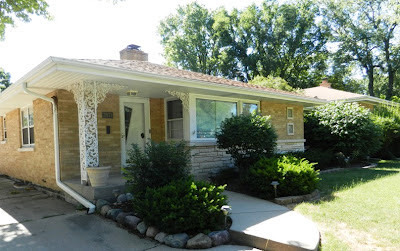 Great brick ranch with a large eating area and a finished basement. Plus an interesting home built in the 80's at 701 Ogden(FACES JOHNSON). This home is in Field Park and has lots to offer but needs to be decorated. $399,000. If you stop by at Franklin and would like to see either of the other two homes we can got at 3. This home is a 5 bedroom, 3 1/2 bath with a brand new finished basement by Normandy Builders which adds the 5th bedroom. 50 x 135 lot. This home sold in 3 days. Was listed for $925,000 and closed for $910,000. This home was built in 2007 and originally listed for $985,000. It closed on April 29, 2008 for $855,000.00. Beautiful home with an addition in 2008. 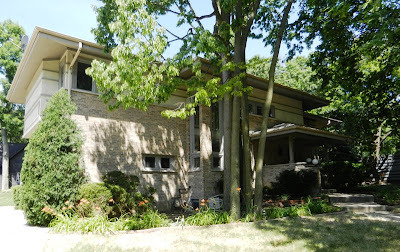 Tall ceilings, hardwood floors, stunning kitchen on a 65 x 187 lot. Listed for $1,099,000 and sold for $1,050,000 in 7 days. Walk to train location. 3 bedroom, 1 1/2 bath in Old Town close to Laidlaw Grade School. In need of decorating. One owner home. Listed for $339,999 and closed at $309,500 in 14 days. On the market from June 2010 at $499,900 until July 2011 when it was taken off at $449,999. 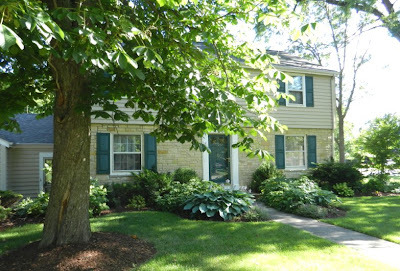 Back on May 1, 2012 for $439,900 and sold in 18 days for $431,000. Finished basement, 2 fireplaces, 4 bedroom, 2 1/2 bath on a 50 x 150 lot. Closed in September of 2007 for $473,500 after 489 when it started at $549,900. On the market for 756 days. Built in 2001 on a 50 x 150 lot. 5 bedroom, 4 1/2 bath and a finished basement. Started at $1,090,000 and lowered until it was at $824,900. Closed for $765,000. Brick ranch on a 50 x 140 lot 3 bedroom, 1 bath and a full basement-this home needed updating. On the market for 200 days starting at $319,900 and lowered to $299,000. Sold for $255,000 w/2000 credit. 9 of them sold for under $400,000, 5 were in the 500-600 range, 3 in the 700's and 1 for $810,000, 1 for 900,000 and 1 sold at $1,080,000. On the market for 4 days. Listed for $699,900 and sold for $705,000. 4 bedroom, 4 1/2 bath on a 50 x 213 lot. Nicely done inside. Walk to train and Garden Market. Located in an excellent location in Old Town only blocks to train and town. Sits on a 75 x 119 lot and has 4 bedrooms, 3 1/2 barhs and a finished basement and 2 fireplaces. On the market for 12 days and listed for $849,900 and closed for $810,000. Save Friday, June 22nd and head on to the Village Green for the Gathering on the Green. A great place to hear music, eat dinner, go on rides. From 5 pm until 10 pm. This is sponsored by the Western Springs Business Association and is always a good time! Built in 1960 this home sits on a 76 x 132 lot. Was listed in March of 2011 for $389,900 and was on the market for 399 days. It had a series of reductions and was lowered to $325,000 on April 17th, 2012. Closed on June 11th for $312,500. 3 bedroom, 1 1/2 bath home that had previously sold f0r $366,000 in Sept. 2006. This home was built in 2006 and originally sold for $1,287,500. Put on the market in April of 2011 for $1,299,900 it was on the market for 375 days. On April 5, 2012 it was reduced from $1,150,000 to $999,900 and closed in June 2012 for $900,000. 6 bedroom, 5 1/2 baths and a finished basement on a 50 x 135 lot. Ranch home built in 1959 has 3 bedrooms, 2 1/2 baths. On the market for 223 days originally listed for $419,900 and lowered to $379,000. Closed June 7th, 2012 for $360,000. Home is dated. Listed for $799,000 and sold for $770,000. This home has an addition and has 5 bedrooms, 4 baths and sits on a large lot in an excellent location. Home was dated but Central is the number one street in Old Town. Home sold in 8 days. This home was first listed on September 1, 2009 for $379,900 and cancelled 95 days later at the List Price of $359,900. Listed again on April 29, 2010 for $325,000 and expired 108 days later at the list price of $298,000. Back on January 28, 2011 for $275,000 and on the market for 469 days with the last list price $189,000. Sale price-$172,500. During the listing it did have a contract when it was listed for $225,000 but the deal fell and the house was reactivated. This was a court ordered sale at the end. 50 x 132 lot, built in 1955, 4 br, 2 bath. This home sold for $567,000 in December of 2009. Was on the market for 113 days at that time. This time on the market for 4 days at $599,900 and closed for $593,000. 50 x 150 lot, 3 bedroom, 1 1/2 bath in excellent Old Town location walk to train. Brand new house on the corner of 51st and Wolf. 1st and 2nd floor laundry, 54x187 lot, originally listed for $1,249,000 and last listed at $1,199,000 and closed for $1,080,000. 5 Bedroom, 6 bath with a finished basement. on the market for 322 days. Here is an interesting one for you! Purchased July, 2007 for $405,000. At that time the house started at $559,900 and had been lowered to $439,000. It was on the market for 361 days back then. This year, after being redone from top to bottom, the home was listed for $559,900 and sold in 3 days for $564,900, proving that condition does make a difference! Beautiful white kitchen with 42" cabinets and Stainless appliances, 1st floor master, finished basement on a 60 x 131 lot. Brand new home. This lot(teardown) was listed in February 2011 for $329,000 and sold in 1 day for $312,000. Lot size 50 x 150. Home was built by Byrne Builders and listed for $1,149,000 and sold in 75 days. Closed at $1,028,800 June 2012. Home has French doors, wainscotting, white kitchen, finished basement. Lots of beautiful trim and pretty light fixtures plus a slipper tub, paver patio and landscaping.